add Adds support for an external library to your project. build (b) Compiles an Angular app into an output directory named dist/ at the given output path. Must be executed from within a workspace directory. config Retrieves or sets Angular configuration values. doc (d) Opens the official Angular documentation (angular.io) in a browser, and searches for a given keyword. e2e (e) Builds and serves an Angular app, then runs end-to-end tests using Protractor. generate (g) Generates and/or modifies files based on a schematic. help Lists available commands and their short descriptions. lint (l) Runs linting tools on Angular app code in a given project folder. 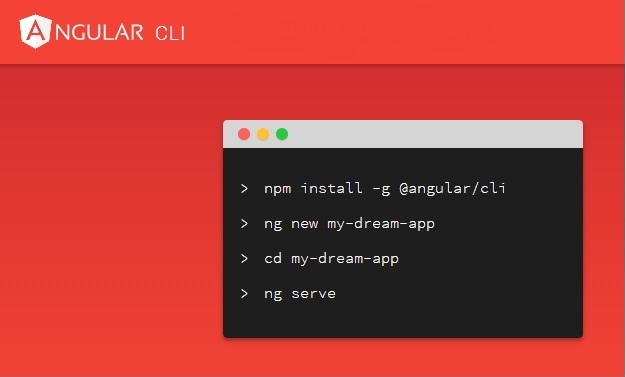 new (n) Creates a new workspace and an initial Angular app. run Runs a custom target defined in your project. serve (s) Builds and serves your app, rebuilding on file changes. test (t) Runs unit tests in a project. version (v) Outputs Angular CLI version. xi18n Extracts i18n messages from source code. For more detailed help run "ng [command name] --help"